Join us in celebrating the Resurrection of our Lord on Sunday, April 21, 2019. What's happening at St. Luke's? St. Luke's is once again hosting the Salish Sea Early Music Festival: Renaissance and Baroque music played on authentic period instruments by world-renowned musicians. All concerts are at 7 p.m. in the St. Luke's sanctuary. Rev. Marlene Jacobs corrals children on the church’s inner steps for her monthly children’s homily. A nice change from the pulpit! 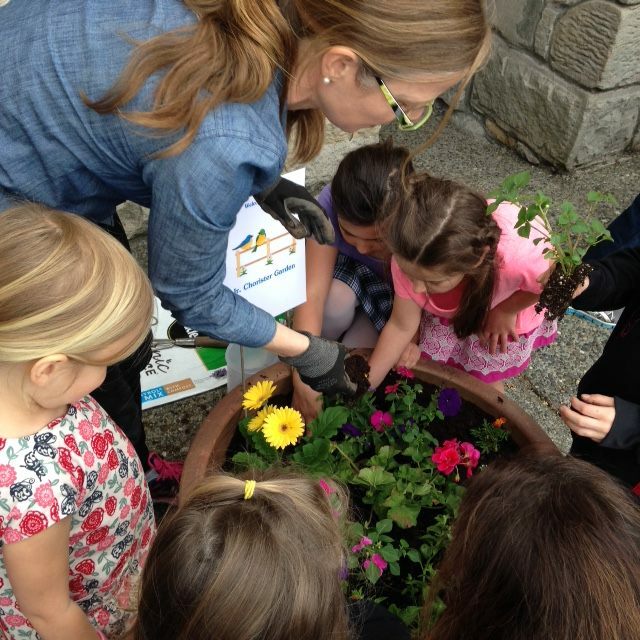 Our children’s garden is just one of the many ways that St. Luke’s youngest members learn about taking care of their community. 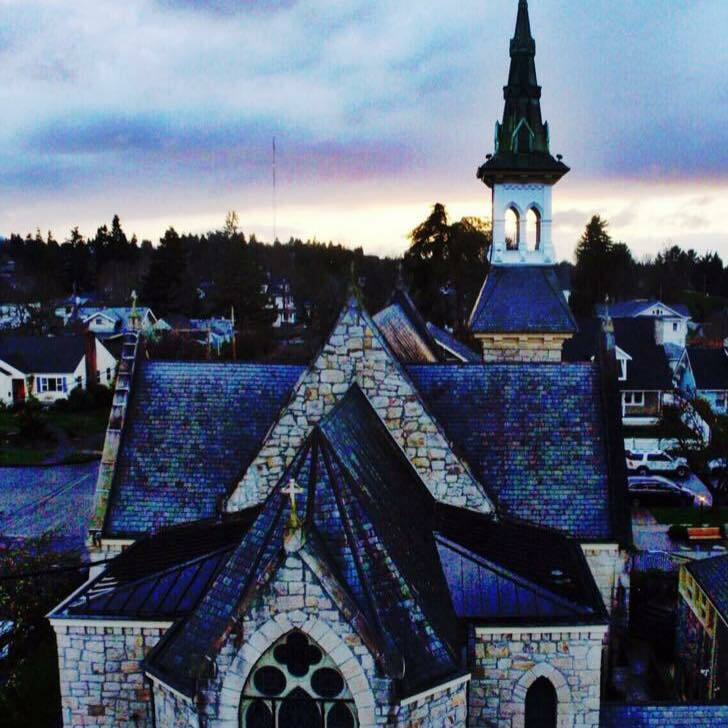 St. Luke’s is built in the style of an English country church, seen here from the air via drone during a spectacular sunset. The entire church building was taken apart and moved stone by stone from downtown to its current location at 36th and Gove St.
4/18 Maundy Thursday Worship Service at 7 p.m.
4/19 Good Friday Worship Services 12 & 7 p.m.
Easter Worship Service with Holy Eucharist at 10:30 a.m.